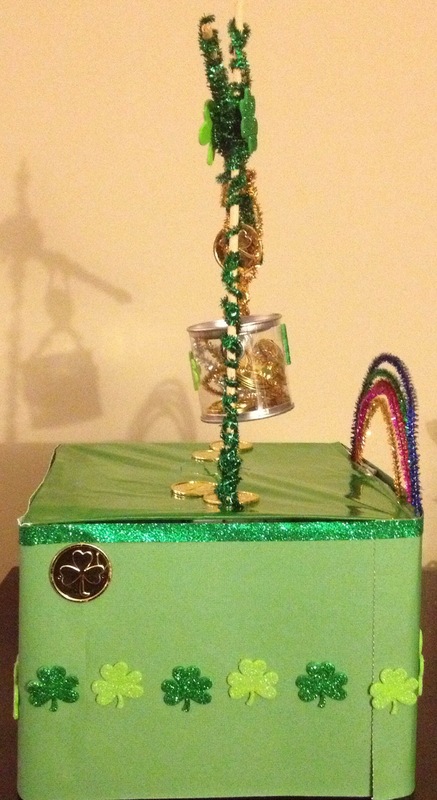 I just wanted to share this quick family project that we made for Moriah this evening. 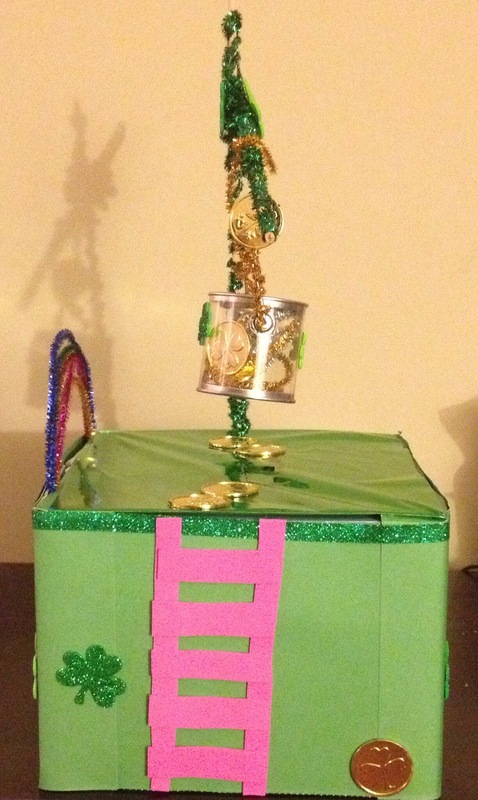 Her craft project that is due in class tomorrow is to catch the leprechaun. We had fun getting last minute supplies at the craft store and using my craft stash to enhance our project. 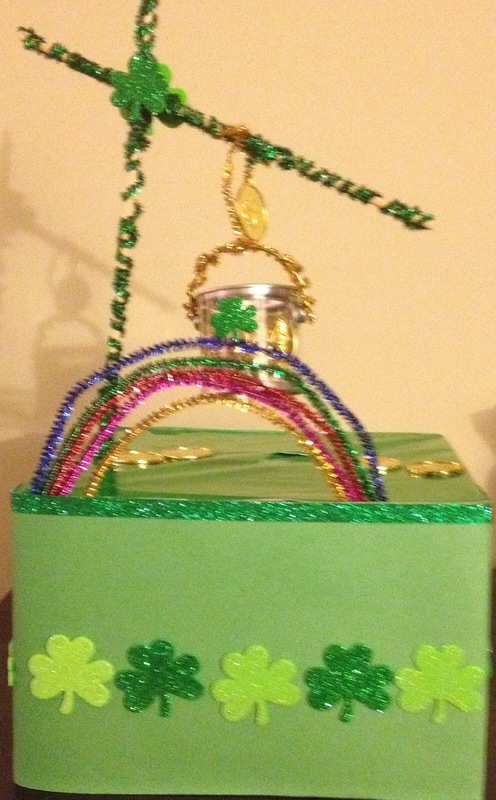 Moriah love that her daddy and I was just involved as she was and the final results was this adorable trap for the leprechaun. 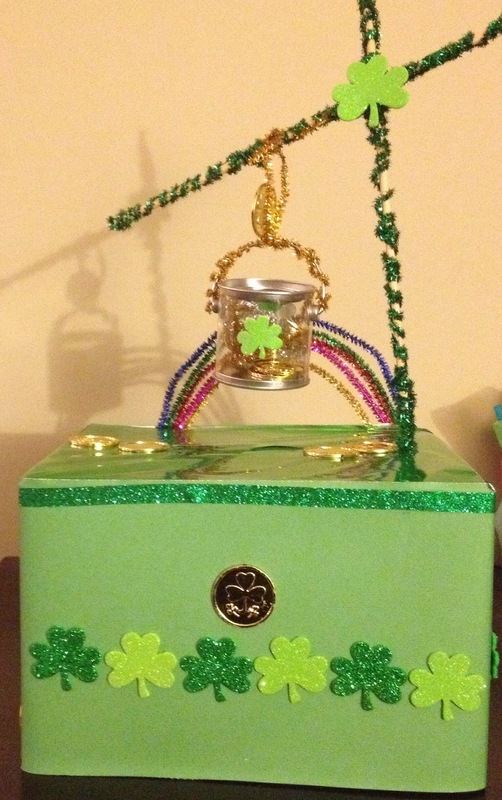 Please share your St. Patrick Day projects with us.